The condo has two bedrooms and two bathrooms, and it can comfortably sleep 6 people. 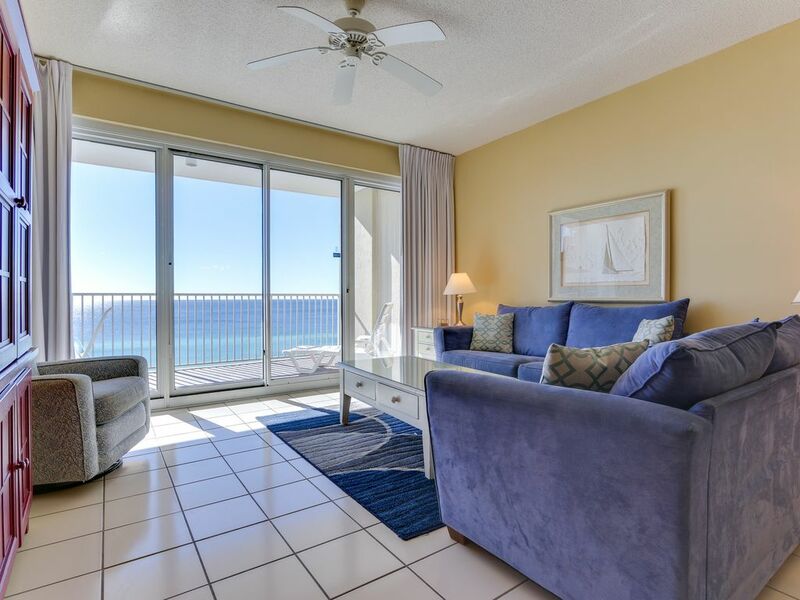 The master bedroom has its own entrance onto the huge balcony where you can soak in the most amazing Gulf views. The master bathroom has a large whirlpool tub and separate walk-in shower - perfect for relaxing after a long day at the beach. The guest bedroom holds a twin bunk bed and a full size bed - giving you plenty of room for the whole family! The recently remodeled guest bathroom is sure to win your heart with a complete renovation including a new walk-in shower! The kitchen is fully equipped with everything you will need and has been updated with granite countertops and new cabinetry. There is also a washer and dryer for your convenience.